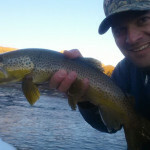 For the past week we have been fishing a lot in town on the San Juan River here in Pagosa. 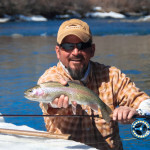 The ice on the river recently melted due to the warmer temperatures during the day. 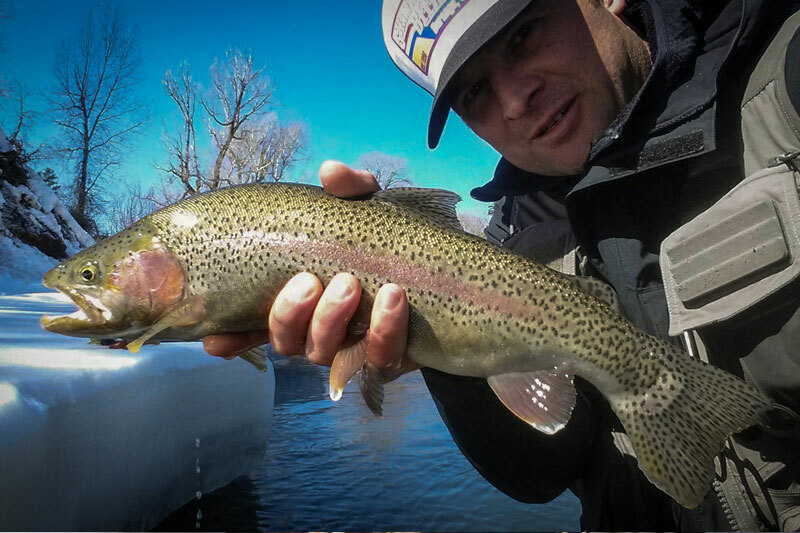 With local flows averaging around 100 CFS, things are starting to melt in the low country. 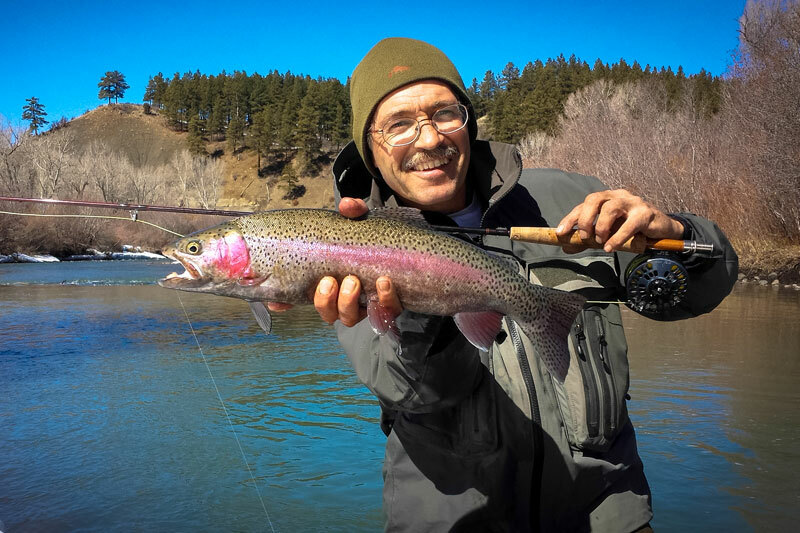 With most of the snow gone in the lower elevations, expect mid elevations to go next, providing another shoulder stretch of fishing with higher flows and good fishing in the mornings. 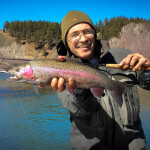 Daniel with a gorgeous wild rainbow. 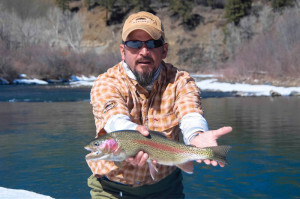 Ideal times to hit the river are anywhere from 8:30 AM to 2 PM. Things start to get muddier around 2:30 and finding fish after that gets tough. We have been seeing lots of bugs out there. 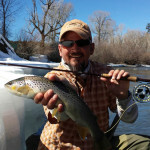 Lots of caddis and midge’s all up and down the upper section of the San Juan through town and up river. 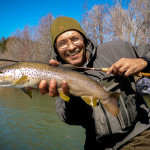 We have been fishing with large, heavy being the key word here, stone fly nymphs trailed by brighter egg patterns. Wired stones in size 14-16 are working good also. Prince nymphs, copper johns and hares ears are pretty productive also in the mornings. 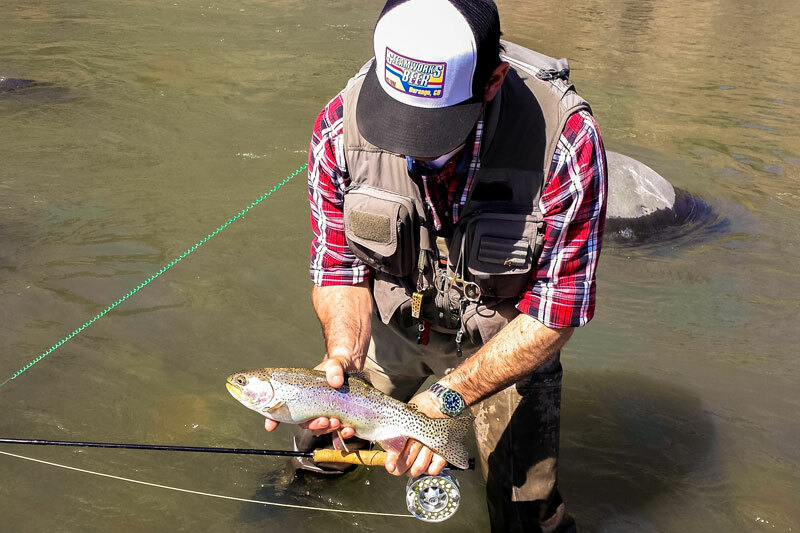 Make sure to weigh it all down and get in the deep parts of the river. 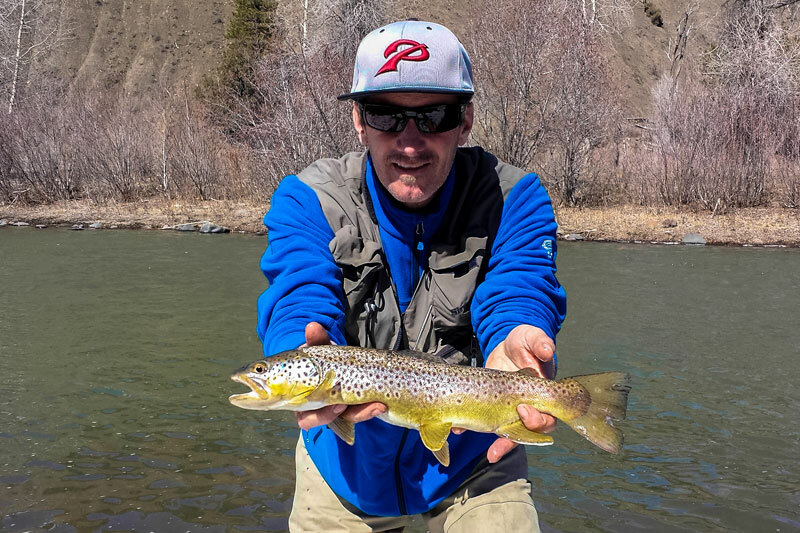 The banks get more productive in the afternoons with browns hanging tight in the shallower riffles waiting to ambush as usual. Some are striking as soon as the fly hits the water. 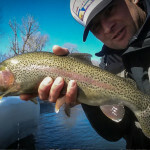 The water temp swings have been around 10 degrees, starting in the low 30’s and getting up to the low 40’s by afternoon. Here are some photos from this weekend. 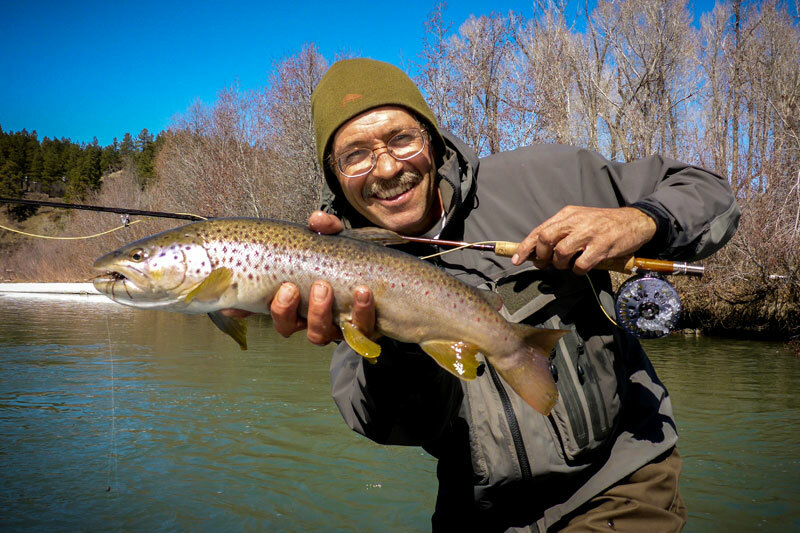 Alex Hall with a sweet brown. Daniel with a pretty Juan bow. 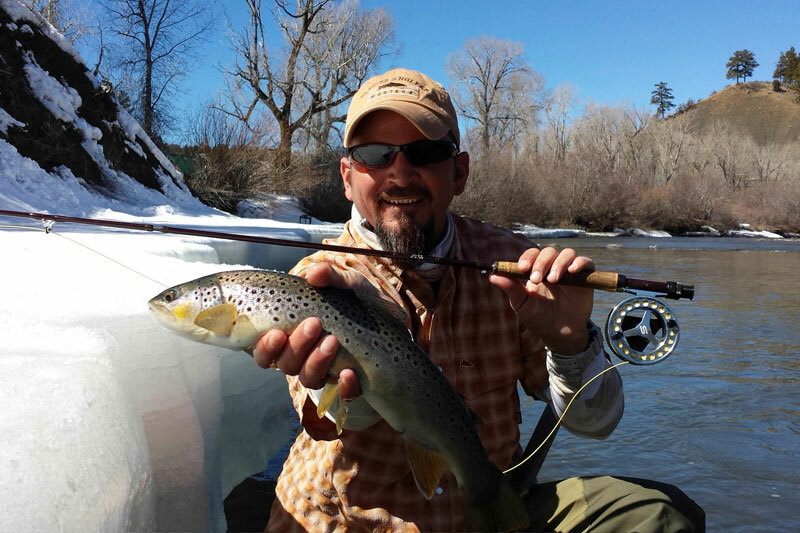 Andy Warden with a nice colored up brown. 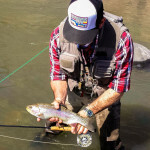 Daniel and his 2nd Brown. 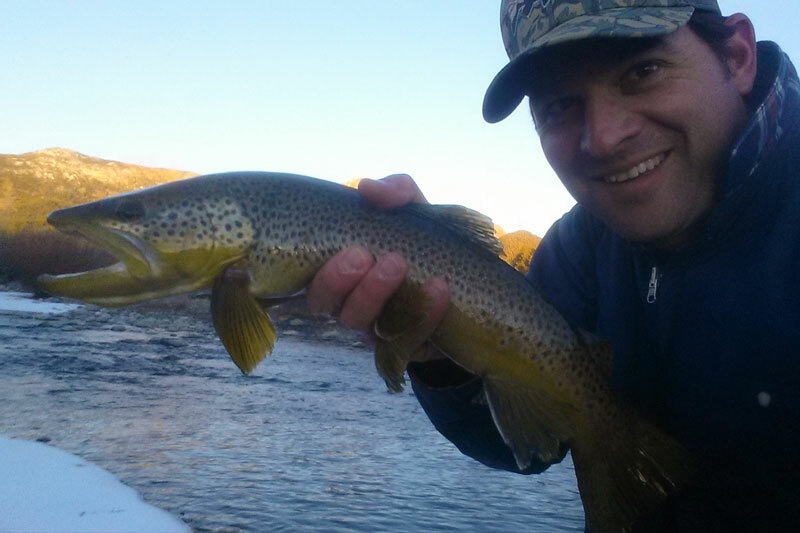 Surprise brown from the Brazos. Alex showing off his Juan bow. Remember, High Country Fishing Charters is always booking trips on the lower San Juan below Navajo Damn and the upper San Juan here in Pagosa, so if you want to experience some spring fishing, give Dave a call at 970-946-3584. Rates can be found here. 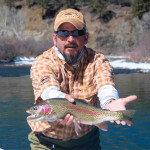 The San Juan here in Pagosa is still fishing. There are a few runs in town that open and not covered with ice. Look below the Springs. Hot water from the resort is keeping things open here and there all the way down to sewer ponds and in spots along Yamaguchi Park. The days have been sunny and temps have been around the 40 degree mark. 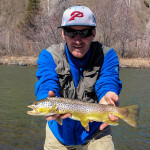 I have been fishing small midges deep in the slow runs. 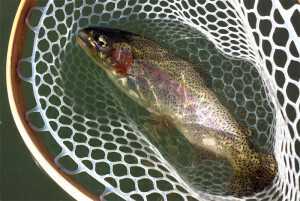 Egg patterns are a great way to make the fish eat along with heaver flies to move things close to the bottom. Takes will be very subtle so keep your eyes focused on your indicator. 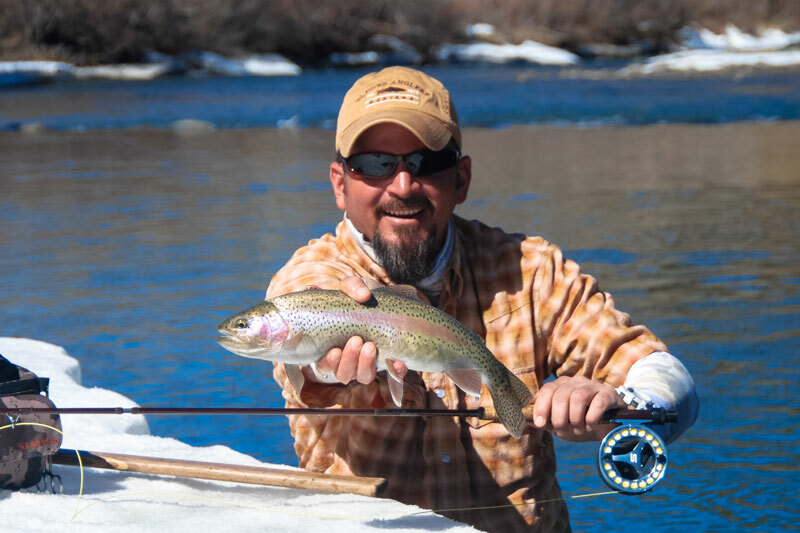 Remember, High Country Fishing Charters is always booking trips on the Lower San Juan below Navajo Damn, so if you want to experience some winter fishing, give Dave a call at 970-946-3584. Rates can be found here. Hey Everyone. Just a reminder that the shop will be moving after the new year downtown. We will be located at 132 Pagosa Street (HWY 160) right across from Kips Grill and Cantina and really close to the San Juan River. Expect the same great service, same great people in the shop and the same great inventory. 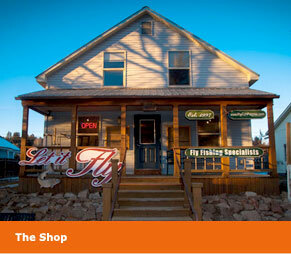 Also, Let it Fly will be selling fishing licenses again. So stop in after the new year and check out our new location.